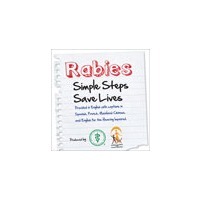 Rabies is a deadly disease and a serious threat to public health. In this video, learn who's affected by rabies, signs & symptoms and how you can protect yourself & your pet. Provided in English with captions in Spanish, French, Mainland Chinese and English for the Hearing Imparied. *Total Running Time: 9 minutes, 47 seconds. Follow the Rules of Responsible Pet Ownership and download this presentation for free to use in the classroom and with your clients.